Q: The New Year is here — and everyone wants to know your New Years Blogging Resolution! What are you going to try to revise, revamp and redo for 2012 on your blog? A: I am going to be doing a lot more author interviews, author requested reviews and ARCs this year. I just started doing the latter two of these towards late this year and love it! I want to do more giveaways too! I might revise the formatting of my reviews, but as of now I am not so sure how. Now I have a question for YOU! I am fast approaching 300 followers *Squee* and I want to know if you guys would like a giveaway with one "actual" book, or if you would like there to be 10 winners, but they would be winners of ebooks?!? 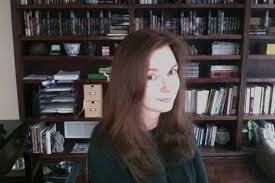 Today I would like to welcome Michelle Muto to my blog! I recently read her books Don't Fear the Reaper, and The Book of Lost Souls, and am interviewing her on both of these great reads! An agent loved The Book of Lost Souls, but wanted something darker, more dystopian. I couldn’t think of anything darker than a young girl taking her own life, so I channeled all the loss I’ve experienced in my life and came up with Don't Fear the Reaper. Harry Potter. I loved the fun, the humor, and the lighter feel of the earlier books. Lighter YA books seemed harder to come by, so I decided to write a story about a small town teen witch. Q. Who is your favorite author? Why? I don’t really have just one. But, the three I can say probably influenced me the most are: Stephen King, J.K. Rowling, and Shirley Jackson. Each have had a solid influence in the type of books I love to read and write. Stephen King is a master at fright factor and description. Rowling definitely knows how to build characters and worlds like no other. Shirley Jackson knows how to turn a phrase, she’s descriptive in subtle ways, and she knows how to up the fear factor subtly, too. Q. What is the best part about being an author? The entire creative process. I love coming up with new worlds, new characters. Q. What is the hardest part about being an author? Getting the word out. I’m not the best at sales. I spend as much time working on promotion as I do writing. I need to refine that. Q. What influenced your decisions as to how your books were published? A top agency had The Book of Lost Souls for a long time. They sent me a revision letter and I went right to work. It was the third time I’d been asked to do revisions for The Book of Lost Souls by three different agencies all wanting entirely different changes. I spent a couple of months on a rewrite, then waited four months for an answer - that a more established client had decided to write a similar book, they couldn’t offer representation due to a conflict of interest. I’d spent so much time doing revisions for both Reaper and Souls for multiple agents that I could have written another book. About this time, I started to read more and more about indie publishing and decided to take that route. Q. Could you talk a little about how many books we can expect in your series and upcoming publication dates? There are two more in the series, possibly three. But right now, I’m leaning towards two. The second book should be released late next year. I’m working on the sequel now, and hope to have it released in mid-late spring. There are probably three more books in the Ivy MacTavish novels. Q. What advice would you give to budding authors? Read and write and much as you can. Find yourself good beta readers and crit partners. And most importantly, always strive to improve your craft. Rating: 4 TURTLES: A great read, I definitely recommend. When teen witch Ivy MacTavish changes a lizard into her date for a Halloween dance, everything turns to chaos. And when no one is powerful enough to transform him back except Ivy, it sparks the rumor: Like father, like daughter. Ivy has heard it all before - that her father, who left when she was seven - was involved with the darkest of magic. Making the rumors worse, someone uses an evil spell book to bring back two of history's most nefarious killers. Ivy's got a simple plan to set things right: find the real dark spell caster, steal the book, and reverse the spell. No problem! But she'll have to deal with something more dangerous than murderous spirits that want her and her friends dead: the school's resident bad boy and hotter-than-brimstone demon, Nick Marcelli. Nick's offering Ivy more than his help with recovering the missing book - he's offering her a way to ditch her scaly reputation as a lizard-lover. 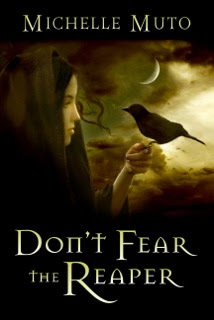 Demons are about as hard to handle as black magic, and as Ivy soon discovers, it's going to take more than a lot of luck and a little charm if she wants to survive long enough to clear her status as a dark witch, get a warm-blooded boyfriend, and have her former date back to eating meal worms before the week's end. The Book of Lost Souls is a humorous exciting Urban Fantasy novel about a young witch who has to reverse a powerful curse that brought two infamous killers back from the grave. There wasn’t a dull moment in the book, and I loved the diverse cast of characters that I met throughout the novel. (Spike the lizard-turned-human and Ivy’s dog, Devlin, in particular). This book really shows the range of Michelle Muto’s writing. The first book I read of hers, Don’t Fear the Reaper, was a heart-wrenching story about a girl’s journey through the afterlife. Going from that to this cute, funny novel was a complete contrast, and I was very impressed that both of these books were so well written, even though they were so different. I really liked how this book put new spins onto myths, and that there wasn’t just witches, but in this world there was a whole community of “Kindred” with everything from demons to werewolves. The only thing that took away from this story at all was that at certain points the plot was a bit predictable, but overall I didn’t find it all that distracting. 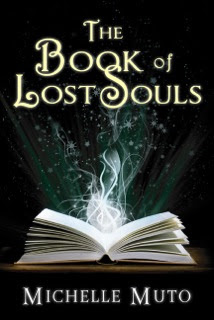 The Book of Lost Souls is an extremely fun and humorous read. I would recommend it to lovers of fantasy and young adult fiction. This was a great read and I will definitely be continuing on with the series. I can’t wait to see what Michelle Muto will come up with next! Q: If you had to spend eternity inside the pages of a book which book would you choose and why? A. Gosh, that's a really hard one! I guess if we're saying eternity here, I would have to go with the Lord of the Rings. Middle Earth would be such an amazing place to be, though I'd try to keep my run-ins with orcs to a minimum. My second choice would to be in the world of Cassandra Clare's Mortal Instruments. I would totally want to be friends with the Shadowhunting gang, Magnus especially! What book world would you want to spend an eternity in? My Rating: 5 TURTLES: AMAZING read! I loved this book, and it's going on my favorites shelf forever! You must get a copy of this book!!! One short week turned Ree McKenna’s life upside down. Not only does she have the weight of the world on her shoulders, but she still has to juggle homework, a job, and a curfew. While Ree tries to find her footing amidst the chaos, the Dark Ones and their champion are busy hunting down any humans that have a touch of the gods running through their veins. Allies have turned into foes, and enemies have become stronger. The world is growing darker, but the passion between Ree and two irresistible guys blazes hotter. Romantic ties from a past life will threaten to break Ree away from the love of her life and will cloud her judgment. In order to follow her heart, Ree will break rules put in place by the gods, risking her life and the lives of her friends in an act of Mortal Defiance. Mortal Defiance picks up right where Mortal Obligation left off, with Ree and the gang continuing their course towards the Final Battle, which will decide Earth’s fate. All those months of waiting definitely paid off, Mortal Defiance is super fast-paced, with the whole book taking place in the span of about one week, there is always something happening! I will say though, if you haven’t read Mortal Obligation, you really should. First of all because it is amazing, and second of all because there is so much going on in Nichole Chase’s world that you would be completely lost without reading the books in sequence. I am always intrigued by anything to do involving ancient myths, and Nichole Chase includes a plethora of gods from multiple cultures. The way she has woven them into the story is truly original and well written. The characters are also something that I really love about this series, they are all strong and have a distinct personality of their own. There isn’t a Mary Sue in sight. Also, while I’m on the characters, for those of you who enjoyed the tension between Roland and Paden in book one, there is a whole lot more in Mortal Defiance, so never fear. 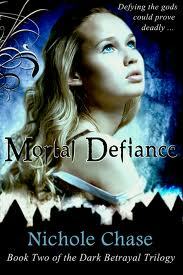 Mortal Defiance is an extremely exciting and quick read, and will appeal to readers on Young Adult, especially YA Urban Fantasy. If you like Mortal Obligation, you will definitely enjoy the sequel. It is an excellent edition to a great trilogy, and I am anxiously awaiting the conclusion. You can check out my review of Mortal Obligation HERE. Answer: I almost always keep it, though I do sometimes give it away if I know I won't read it again. Howling Turtle got a Facebook page this week and I'd love it if you guys checked it out! I am going to be setting up Goodreads and Facebook Buttons shortly! 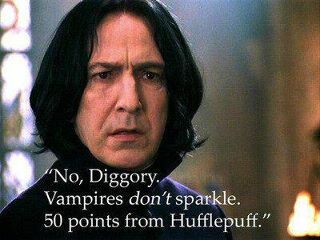 That potions teacher sure knows his magical creature lore! This is too good not to share. Hollowland is currently being offered for free for Amazon! The link is HERE. 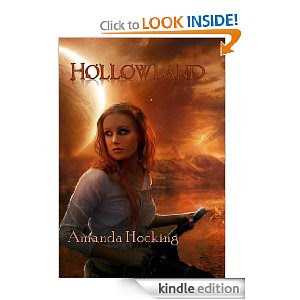 Hollowland - the first book in the young adult dystopian series The Hollows.. I loved this book, it was super fun and I am currently waiting for the next installment! This book was so powerful and moving! It is a stand alone historical fiction novel which I absolutely loved! (And historical fiction is not my favorite genre). Definitely hard and a tear-jerker. Rating: 4.5 TURTLES: A really great read, I highly recommend! Grief-stricken by the murder of her twin, Keely Morrison is convinced suicide is her ticket to eternal peace and a chance to reunite with her sister. When Keely succeeds in taking her own life, she discovers death isn’t at all what she expected. Instead, she’s trapped in a netherworld on Earth and her only hope for reconnecting with her sister and navigating the afterlife is a bounty-hunting reaper and a sardonic, possibly unscrupulous, demon. But when the demon offers Keely her greatest temptation—revenge on her sister's murderer—she must uncover his motives and determine whom she can trust. Because, as Keely soon learns, both reaper and demon are keeping secrets and she fears the worst is true—that her every decision will change how, and with whom, she spends eternity. From the moment I picked up this book I was instantly drawn into the story. Don’t Fear the Reaper opens with the protagonist, Keely, taking her own life, and reflecting on the things that lead to that moment. The pain she felt throughout the book felt very real to me even though in most of the book she is “living” through very different situations than one generally faces. Michelle Muto’s writing is absolutely beautiful, and all the characters have depth and are well developed. I really don’t have anything negative to say about this book. It brought me close to tears on more than one occasion, and I can count with the fingers on one hand the books that have made me cry. I could also relate to this book on a more personal level because I am a twin myself, and felt I understood Keely’s connection with her sister very well. 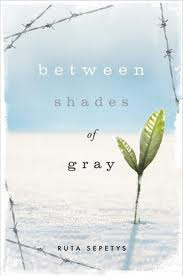 One thing that set this book apart for me and made me love it was that it was in no way a cookie-cutter YA novel. It was original and raw, and the author did not put anything in that took your attention away from the plot to add interest when it didn’t need it. Once you read YA for a while, you really start to appreciate it when an author relies purely on their own originality and ideas and doesn’t go to any “plot formulas” to lead their story on. In short, this is a beautifully written, emotion-evoking book, and I highly recommend it. Question: What is your biggest pet peeve when it comes to books? Maybe you don't like love triangles or thin plots? Tell us about it! What are your literary pet peeves? Today I have the honor of welcoming author Treyci Kay to my blog for an interview. Mr. Kay is the author of Marcus 98012 and the Great Awakening, book one of the Aretian Chronicles. Q. What was your inspiration for Marcus 98012 and the Great Awakening? As strange as it sounds the main inspiration I had was a series of very vivid dreams. I pieced them together and they became the bulk of the scenes that include the character on the cover, Celeste. Q. How many books can we expect to be in this series? So far I have 3 possible books outlined and a prequel. Q. What is your favorite part about being a writer? Bringing the reader into a world you can see in your mind and sharing that. Q. What is the hardest part about being a writer? Writing alone. Hour after hour. Q. What other projects are you working on? A dramatic fiction piece with several story lines along the lines of the Paul Haggis film, Crash. Although I may just make it a screenplay. Q. Do you spend a lot of time plotting, or do you just sit down and write? The only time I “just write” is when I’m doing poetic verse. I plot thoroughly and plan the character motives. Once I have that, I allow for a lot of straying because sometimes the characters demand it. But at the end of the day the main planned plot points (climax, introductory scenes), stay the same. Q. what advice would you give to an aspiring writer? Get “On Writing” and “Elements of style” by E.B. White and Strunk. Also practice first person and third person, understanding the benefits to both. Certain books with internal confusion actually work better in first (i.e. Hunger Games and Twilight). Others definitely require an omnipresent viewpoint. (Harry Potter).